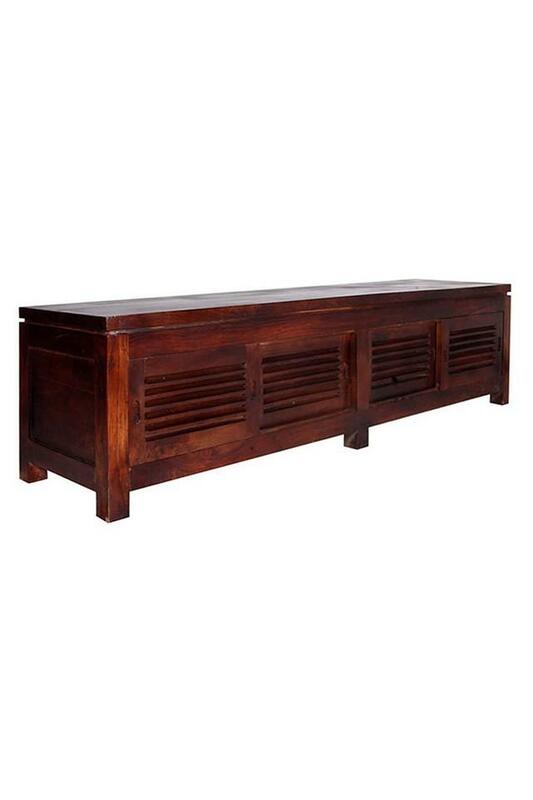 Made from perfectly seasoned sheesham wood surely fits in seamlessly with most decor styles. The gorgeously simple design is elevated by the groove detailing that lines the face. Four door storage area with two shelves inside are of great utility. 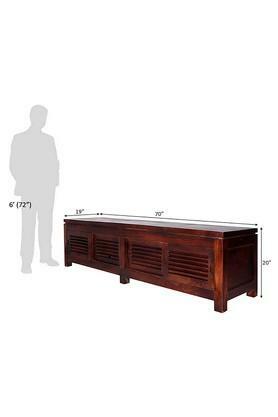 The unit top can easily accommodate larger TV. Dimensions - 178 x 48 x 51 cm.